Detailed information and reviews of US companies offering film and video production, editing and cameraman services. Post your requirements and receive no obligation price estimates and quotes. HI8 duplicate - I would like to know if you are able to make a duplicate from an old HI8 tape that may need to be spliced before duplicating. The tape is stuck. Day in the Life Video - Hi there, I would like a quote for a day in the life video of our family including editing. It is for court purposes @ 35-40 minutes long. Thanks. 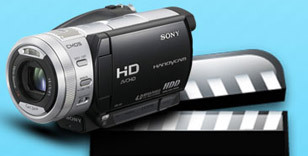 Video tape - I am needing someone to video tape my sons high school football games. Wedding august 2014 - I want to stream my brothers wedding live online so our family in Brazil can watch. The wedding will be in Everett, Ma and the reception in Peabody, Ma.